Health is the new green - this message is seemingly everywhere these days. It's clear that a shift is underway in the way we think about our homes and buildings. A quality building does more than just use energy efficiently, it needs to provide for the occupants. This means recognizing that our clients will spend their time immersed in the air we create for them and that indoor air is a dominant exposure. Now is the time to get clear on how our homes and buildings relate to health, comfort and well-being and, more importantly, what to do about it. There are myriad known and emerging contaminants that negatively impact occupants. This seminar will break this complex and daunting topic down into 5 clear and actionable principles. This seminar will cover each step to make it clear why it matters and, more importantly, how to incorporate the benefits of this succinct approach into design and delivery decisions. Once understood, these 5 concepts will help design and construction teams make decisions all along the project lifecycle. 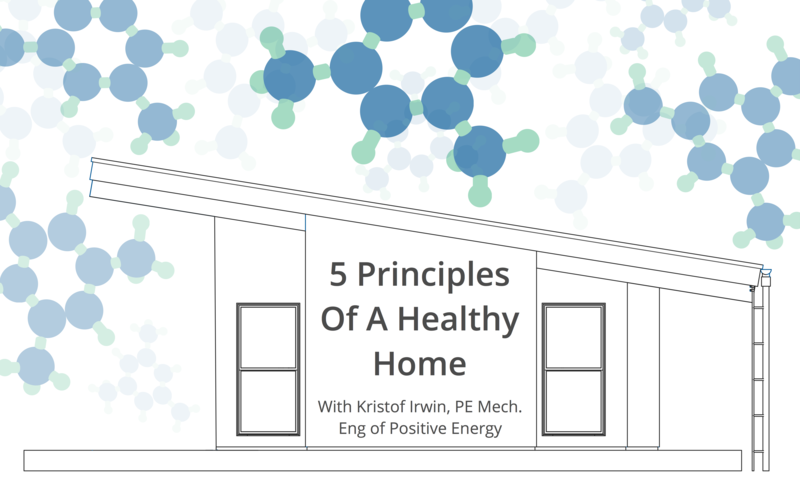 Kristof Irwin, P.E., M Eng., is the Lead Engineer and Principal of Positive Energy, a company in Austin, Texas focused on residential mechanical design with a building science approach. Positive Energy’s mission is to change the way that society delivers conditioned space to itself. Building science sees buildings-climate-occupants as systems of systems. Positive Energy sees architects-builders-engineers-and many others as a system of systems too. The company is a strong advocate for best practices in enclosure design, residential mechanical design, residential plumbing design, construction administration, and commissioning - bringing the human factor to designing and delivering buildings. Kristof’s background includes 12 years of experience as a custom builder (including deep energy retrofits and zero-net energy projects) and 9 years as a building science consultant. He worked for 14 years as an engineer, research scientist, and physicist for government and university research labs. He is active in the local and national high-performance building community including his role I’m as the Chair of AIA Austin’s Building Enclosure Committee, several ASHRAE committees - ASHRAE TC-2.1 (Physiology & Human Environment), ASHRAE SSPC-55 (Thermal comfort), ASHRAE SSPC-62.2 (Ventilation/IAQ), and the RESNET ANSI Standards Development Committee (SDC). Kristof hosts The Building Science Podcast to promote education and understanding in the public and on project teams.